Several Washington County candidates, incumbents spent Monday celebrating at Oaks Park in Portland. The sizzle of burgers and screams from the roller coasters serve as the starting pistol for election season each year; at least, they do for Democrats and union leaders. 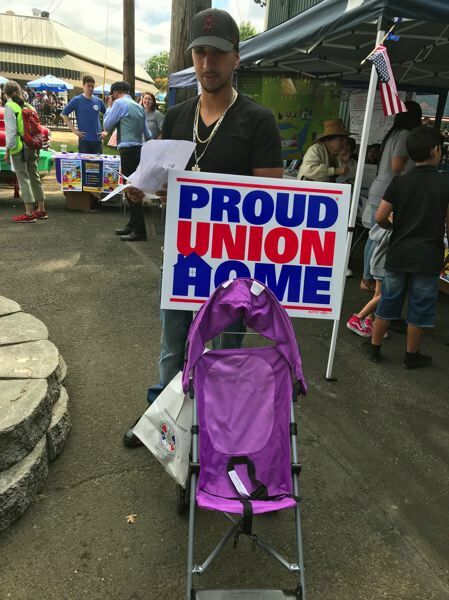 The annual Labor Day picnic at Portland's Oaks Park draws thousands of attendees, mostly union members and their families. This year's event drew Gov. 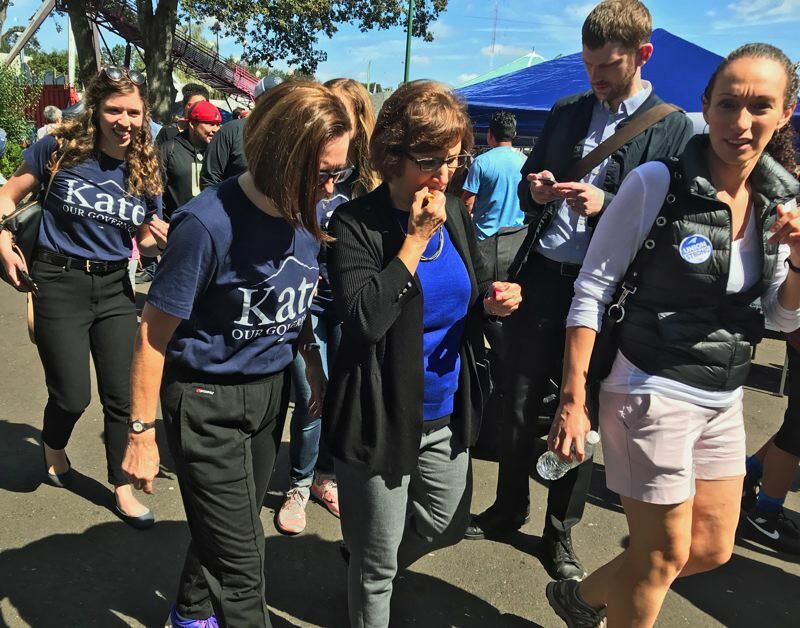 Kate Brown and Congresswoman Suzanne Bonamici of Beaverton, as well as candidates and incumbents for state, county and city races throughout the region. "This picnic celebrates working families," Brown said. "It's the last push before the election season gears up." Not everyone comes for the politics. Bernetta Sly of Portland, who works at Fred Meyers, was there for the festivities. "It's fun every year. It gets better every year. I never miss it," she said. David Rickard of the American Federation of State County & Municipal Employe, Local 3670, came to sign people up for health care at Virginia Garcia clinics, which serve much of Washington and Yamhill counties. "There's a lot of working people here with kids. It's fitting to do this work on Labor Day," he said. Bonamici said she came because unions and organized labor are under attack from the White House, Congress, state legislators and even the U.S. Supreme Court, citing this year's decision, Janus vs. v. AFSCME, which limited the power of labor unions to collect fees from non-union members. She drew applause for saying that one of her congressional committees, the Committee on Education and the Workforce, is known as the Committee on Education and Labor when Democrats control the House. She predicted that will happen again this November. 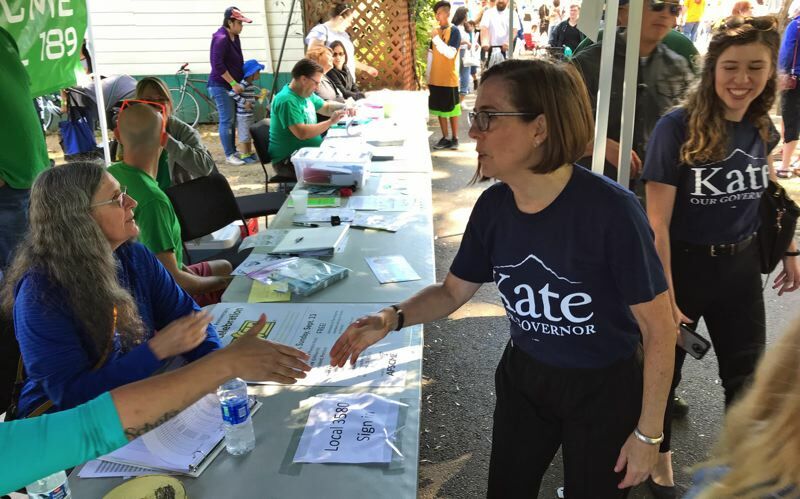 Kathryn Harrington, who is running to be chairwoman of the Washington County Commission, and State Sen. Chuck Riley of Hillsboro both said they've been out doing door-to-door campaigning for two months so far, and the election is still more than two months away. "This event is the last summer hurrah," Harrington said. "We all have Labor Day as a holiday thanks to unions." One of the area's highest profile races is between that of Jo Ann Hardesty and Loretta Smith for a vacant seat on the Portland City Council. Hardesty has been an activist and formerly served in the state House; Smith has served two terms on the Multnomah County Commissioner. And both have landed some labor endorsements this year. "I've been doing a lot of door-knocking," said Smith, who spent part of Monday cooking hamburgers for the United Food and Commercial Workers International Union. "Voters want to see you and meet you on their doorstep." Hardesty called Labor Day, "the opportunity to say thank you to everyone who supports us." She also said it's a good opportunity to talk to voters and to gear-up for the final weeks of the general election. "Also: I'm hungry! I need to eat!" she laughed. Oaks Park has had notorious traffic and parking problems during the Labor Day celebration. This year, hundreds of people arrived throughout the day on board a free shuttle train along the Oregon Pacific Railroad tracks between the OMSI area and the park. The route featured unparalleled views of the Willamette River and Ross Island, the aroma of wild blackberries, and sightings of bikers, kayakers and the shopping-cart-and-tarp bivouacs of the area's homeless who live along the Springwater Corridor. Several elected officials and labor union leaders spoke on the park's main stage, shouting to be heard over the howls from the bumber cars; an apt metaphor for the election season. 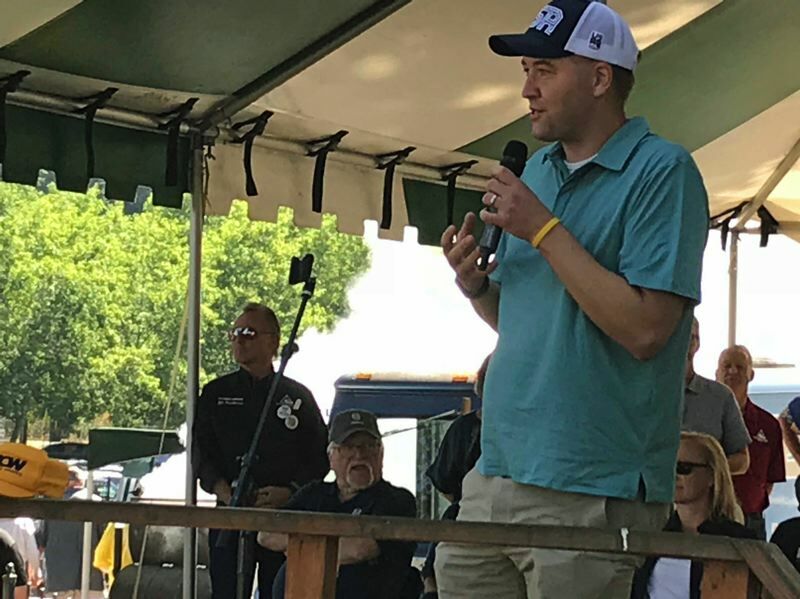 Beyond Brown and Bonamici, other speakers on the mainstage included state Treasurer Tobias Read of Beaverton, Attorney General Ellen Rosenblum of Portland, and Senate Democratic Caucus Leader Ginny Burdick, whose district includes Tigard.